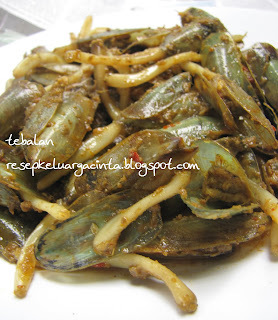 Everyone seems to have a "Weirdest foods" list out there-but here at Echinoblog we offer you only the STRANGEST sampling of bizarre marine invertebrates cuisine! forget insects, snails or shrimp! Some of the edible (?) metazoans below are usually only noticed by marine biologists, zoologists and the well-studied biologist! 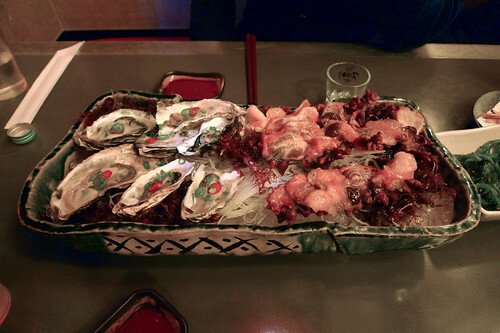 What better application of knowing the strangest of marine invertebrate phyla can there be than to recognize it on your plate? Its scientific name disguised by colorful cultural argot or perhaps in a different language? 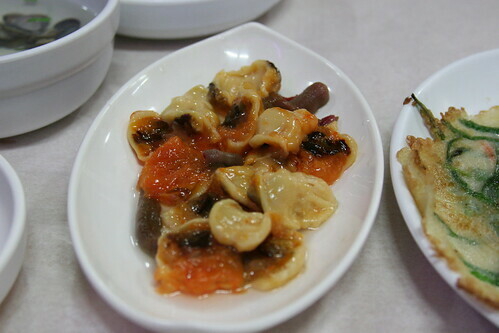 As it turns out, sea squirts are eaten all over the world, including Japan (called hoya and maboya) and Korea (meongge, and in a stew called agujim). 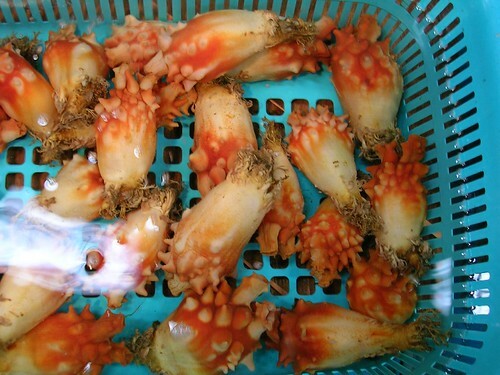 They also eat sea squirts in France, Italy, Greece, and Chile . Most people have never heard of this phylum of worms. 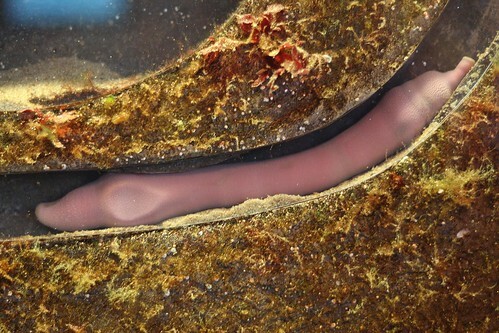 Commonly known as "spoon worms"
One of the best studied examples is Urechis caupo, occurring on the North pacific coast -living in muddy burrows which serve as homes for many other commensals, including tiny shrimps and fishes. 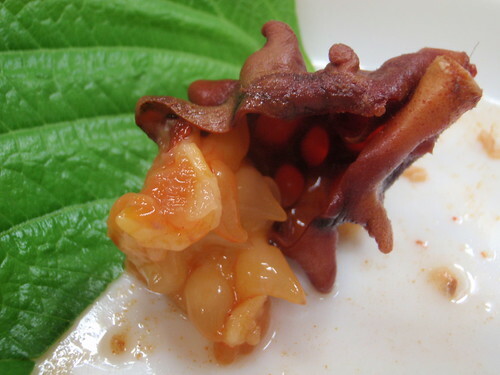 But in Korea, a related species, Urechis unicintus is collected and eaten! In other cuisines, it is cooked and stir fired..
the picture above? gaebul and mongae aka Echiuran and Sea squirt!! Brachiopods are one of the oldest animals observed in the geological record, going as far back as 500 million years. In some cases-they appear relatively unchanged appearing very much as they do as fossils. and now we eat them. There are two shells that fit over the animal on the top and bottom. Bivalves and other clams are fundamentally different in that their shells are oriented on the body left-right. Biologist Richard Fortey noted that they tasted like "straw' (quote is here). 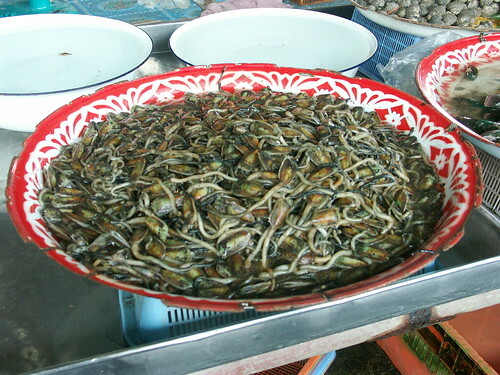 Here is an image of brachiopods as sold in a food market in Makassar. Here is another from a Thai market. In Indonesia this dish is called Probolinggo TEBALAN. The blog linked here suggests that Lingula tastes "sweet and spicy" whereas others I've seen suggest that it is served with a tasty curry. Huh. Brachiopod curry. NOT something I was expecting to write today! 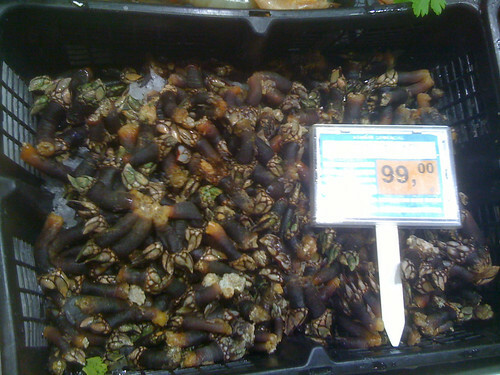 These of course are what's known as "goose" or "goose-necked" barnacles because of the long, prominent stalk attached to the body sitting on top. Yes. People eat them! I've seen them in Paris and Belgium. Other "unstalked" barnacles are also eaten! 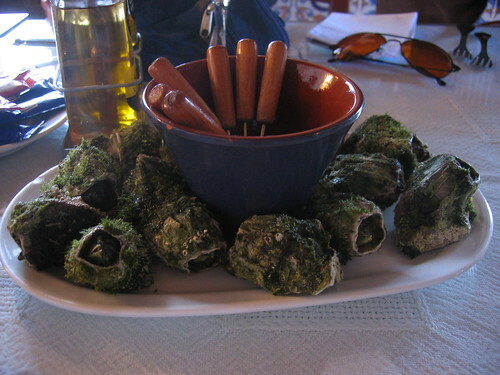 In the Azores and Portugal, these are called cracas! 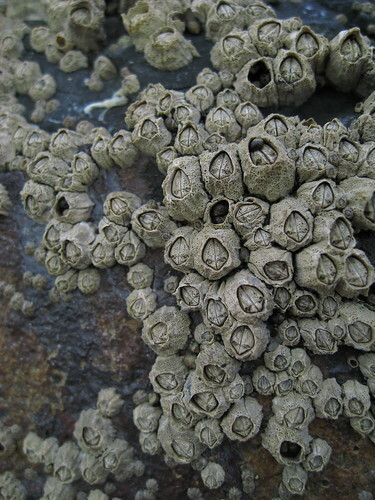 Basically, these are boiled "acorn" barnacles. 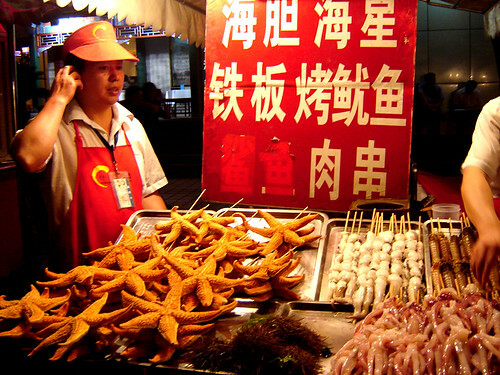 So, first let me distinguish between the "starfish for show" pictures that one sees around like this versus apparently real accounts of people who eat the gonads of starfish as seen in the video below..
so maybe there is a silver lining to this? 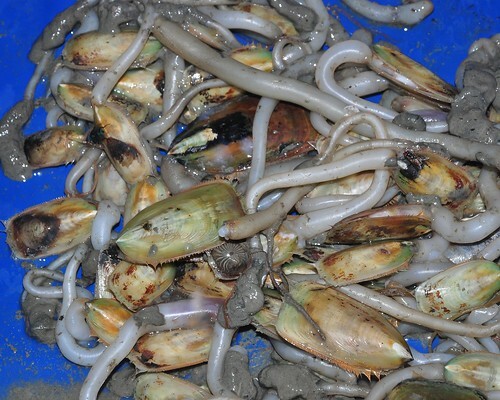 It always makes me sad to see my beloved marine inverts dumped together in a bowl or pot to be eaten. Funny, though, I don't have that problem with cows or chickens. what I'd like to know is whether or not the parasitic barnacles that turn crabs into zombies are favored anywhere. Well, I've eaten fat inkeeper worms in So Korea and probably tunicate and also found them to be rubbery and kinda not tasty. 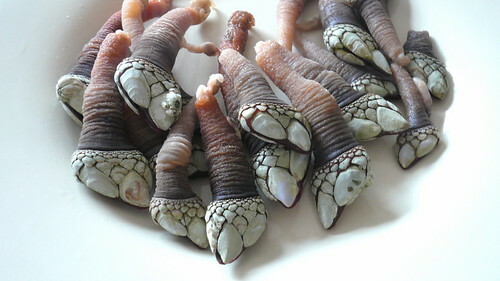 I've also eaten gooseneck barnacles while kayaking around Catalina Island. They were pretty good! 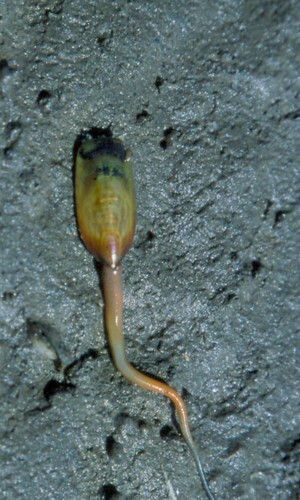 In Southern Spain (especially, Cadiz) , Anemonia sulcata are consumed as well. They are called "ortiguillas". Barnacles are indeed a delicacy here. And they are expensive because they are very dangerous to collect. You can watch barnacles collectors at work in chapter one of BBC's "Human Planet". The sequence was shot in Galicia, Northwestern Spain.